Your Mug of Woe tale is about a bike that had a rather unlucky history. Do you have a secret “lucky” item? 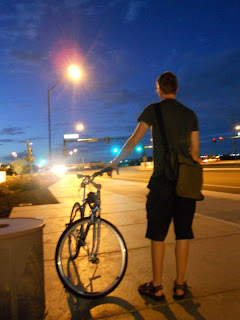 While biking around Phoenix, I always wore a green messenger bag. You can see it in my photo. I wore it so much that the sun bleached it nearly white. Even to this day, my equilibrium feels off when I'm not wearing it. I can voluntarily wiggle my ears, both simultaneously and singularly. It's what makes me so popular at parties. People are always saying, “Hey Dale, do that thing with your ears,” and I do it. It's great fun. I would be a dragon, because there is no other correct answer to this question. Promote yourself. What are your other creative endeavors? I am a 23-year-old college student who works three jobs and maintains a full-time relationship. Due to time restrictions, I focus on realistic opportunities, such as short story collections and magazine submissions. My goal is to continue refining my writing style while pursuing an academic degree. Once college is complete, who knows? This week's spotlight is on contributor Sue MacDonald, and her badass dog Marigold (mostly Marigold). Your bio claims you are occasionally mistaken for Lisa Kudrow. If you had been written into the show Friends, what would your character be? I would be the inspiration for Phoebe's new song - "Crusty people live by the beach"
You have a dog named Marigold. How did she get her name? She came with it, but it fits. Like the flower, she looks pretty but smells funny. Also, they both scare away Japanese beetles. If someone was to grant you superpowers, what would they be? I would be able to bend a person's mind to my will. I would make people give me gifts and flowers and drive me anywhere I'd want. (This is a most excellent superpower for the freeways of SoCal.) Oh, and money. People would give me money. If someone was to grant Marigold superpowers, what would they be? She doesn't need superpowers to bend a person mind to her will. She just shows them her teeth. People are thrown by a dog named after a flower with really sharp teeth. 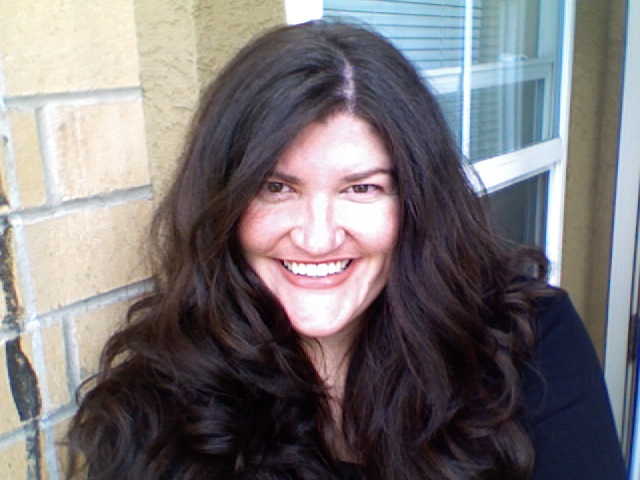 Michelle was one of our first submissions to Mug of Woe, therefore she is one of our first woeful spotlights! Logic: It's the new black. Some of my other hobbies include learning the ancient art of Bellydance as well as collecting shoes and empty wine bottles. A little birdie told us that you have a special talent. Can you tell us a little about it? 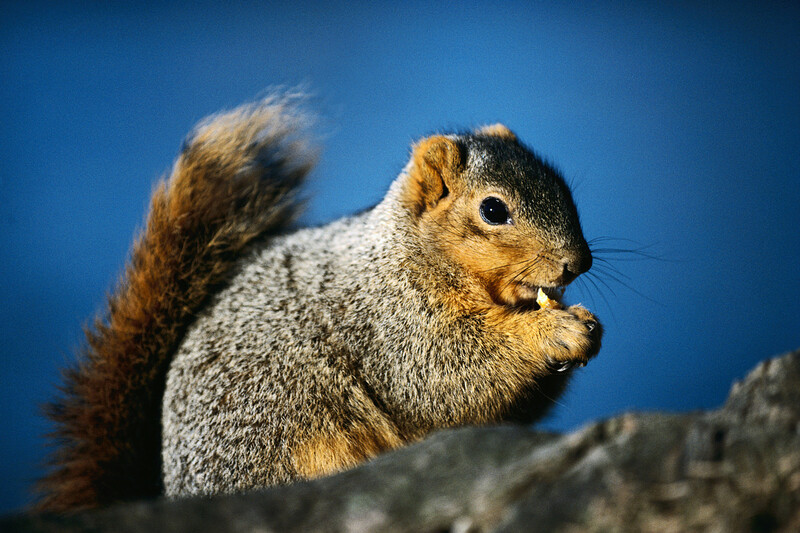 I can talk to squirrels in German. Not really. In ten years I see myself living working in a European vineyard, aging like wine. What do you miss about Boston? Things I miss about Boston are: Family/friends, Salem in October, underlying sarcasm in conversation, H&M at Downtown Crossing, pale people, and New England Clam Chowdah. 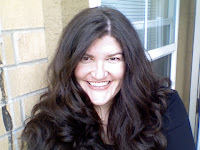 This week's spotlight is Jesaka Long, a freelance writer you can visit at jesakalong.com. She also appears to have hair, which is a fairly recent event given her woeful haircut story in Mug of Woe. If you could be any animal, what would you be and why? If I could be any animal, I’d be a hairless cat. Perhaps you thought I’d relate more to a lion with its glorious mane? I love the thought of living life as a tiny diva—and never having to deal with hairballs. So, we hear you collect rejection letters. What’s the best one you’ve ever gotten? Most of my rejection letters are form letters or a “no thanks” with a few lines about liking the piece, not the right time, send again type encouragement. I’d love something that says what the reader really thought, even if it’s a harsh “What were you thinking?” Well, that’s easier said than received. So, my favorite rejection letter was my first ever. Even though the editor declined the piece for her section, she actually read it. I knocked over my chair running to tell my partner that someone had read my writing. What do you miss most about being a kid? My paternal grandparents (Mimi and Papa) raised me and many of my childhood summers in the Texas Plains were magical, filled with hamburgers on the grill and a backyard full of water logged kids gorging on homemade ice cream and watermelon, competing to see who could spit their seeds the farthest. I miss those carefree, lazy days when the biggest issues were calling Time & Temperature to see if it was warm enough to swim in our stock tank (no cows, just Papa’s innovative swimming pool) and fighting with my brother, cousins and friends over which TV shows we’d watch. I hated Little House on the Prairie so much I lied to a friend’s mother, claiming my grandmother wouldn’t let me watch it.